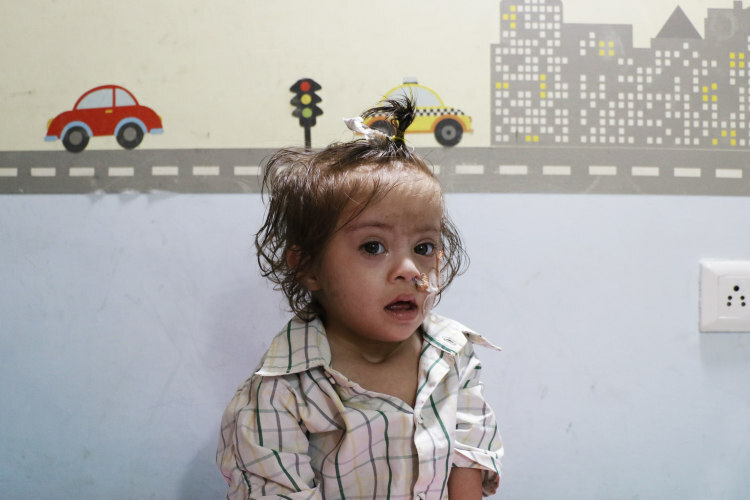 “It’s so painful to see that our daughter has to survive on tubes and medicines. Yogesh and I waited for 6 long years to hold our baby in our arms. Now that we have her, her misery kills us every day. I haven’t slept well for months now just because my baby keeps tossing and turning relentlessly the entire night,” Poonam, Divyanshi’s mother. Poonam and Yogesh’s happiness knew no bounds when their prayers for their own child had finally been heard after 6 years. 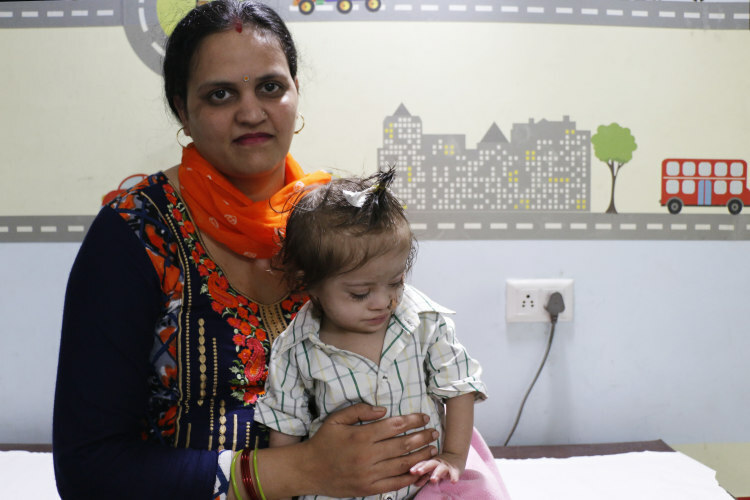 Although baby Divyanshi was born with down syndrome, they were prepared to fight all odds for their baby and considered her to be truly God's gift. “At the seventh month of Poonam’s pregnancy, we got to know that our baby has a hole in the heart and it would close after she was born. But to add to our misery, when she was just 7-months-old we got to know it is worse. My baby has an atrial septal defect, a condition where there’s a hole in the wall that allows oxygen-rich-blood to leak into oxygen-poor-blood. 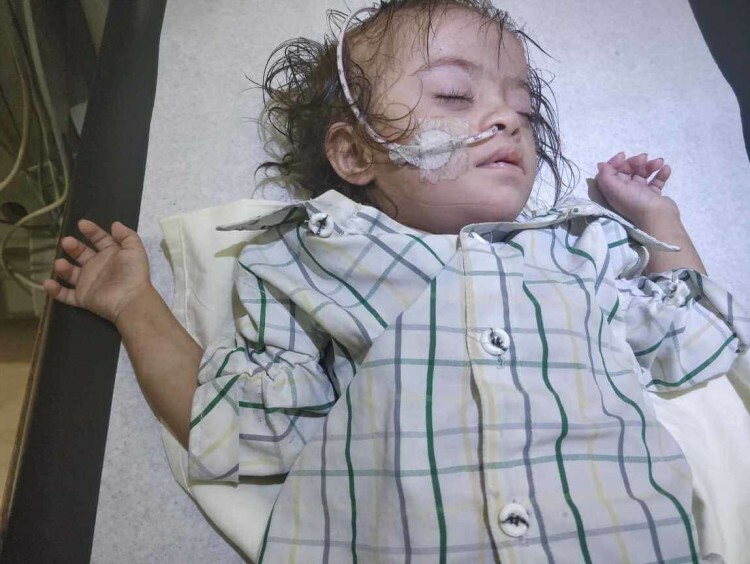 Now she suffers from a cough and cold, and pneumonia very often.” Yogesh, Divyanshi’s father. 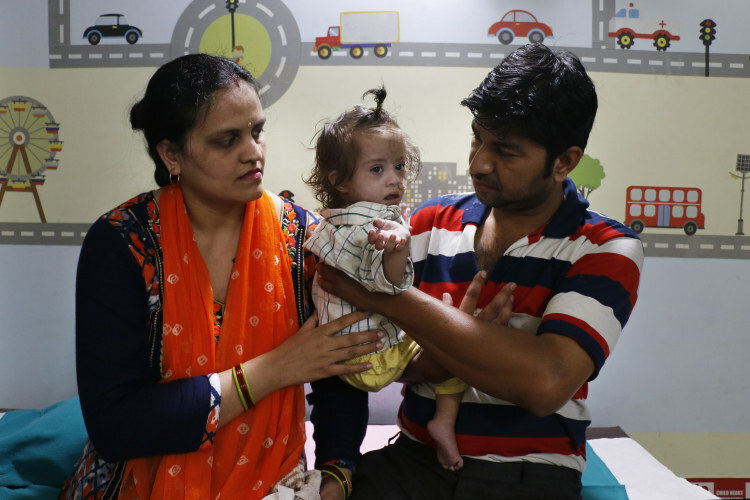 Little Divyanshi was admitted to the hospital for almost 2 months because of pneumonia. After the discharge, her parents thought that she would now be better. But just after a few days, she is again down with terrible fever and a cold. 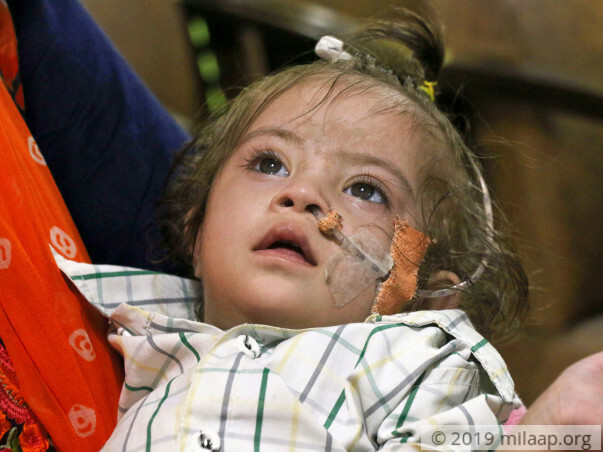 A heart surgery is the only way to save little Divyanshi. Yogesh worked as a salesman in a private firm. For almost 2 months that he has not been able to go to work and is out every day in search of a new job. There’s a huge medical expense that the parents have to bear so that their little girl can live. Baby Divyanshi has a major heart problem which has put her at severe risk. 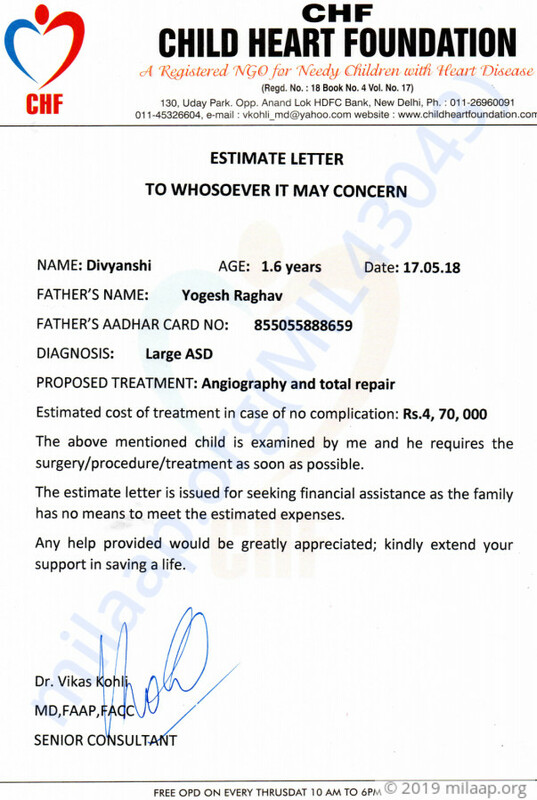 The cost required for the life-saving heart surgery is Rs 4.7 lakh and her parents have no means left to save her. Divyanshi was undergoing a lot of problems due to severity of her disease. She battled hard for her life but could not recover and passed away, doctors tried their best but could not save her. Thank you for the support you had shown at the time of need. Divyanshi underwent a successful surgery and she was discharged from the hospital. Doctors have suggested there may be few more surgeries scheduled for her in the future. As of now, she's doing well and has been advised for regular follow-ups. This couldn't have been possible without the support of you all, thank you so much for the love and support you have shown towards us. Thank you for supporting and donating for Divyanshi.